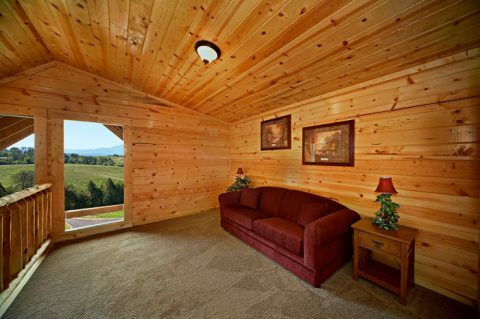 "Rocky Retreat," a 2 bedroom vacation rental near Pigeon Forge, provides vacationers to the Smokies with a convenient location and all the amenities of home. 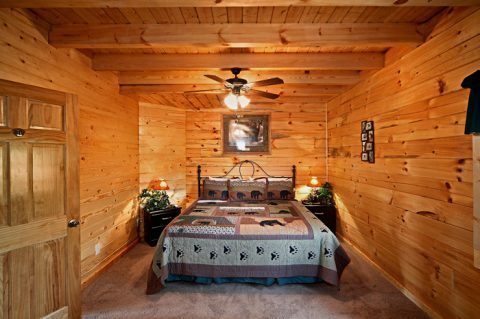 Your family's accommodations rest minutes from Dollywood and all the action of Downtown Pigeon Forge. 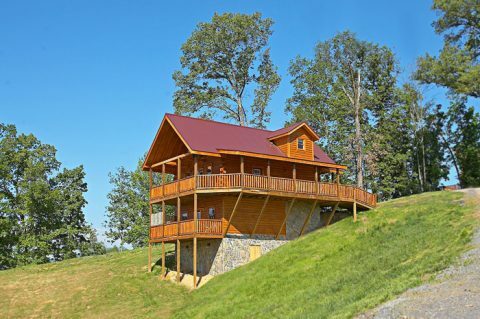 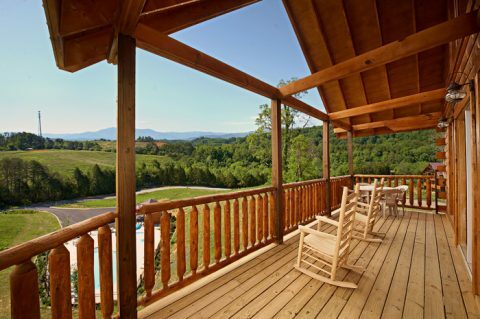 Your Smoky Mountain cabin rental offers gorgeous views of the Smoky Mountains landscape from its two porches. 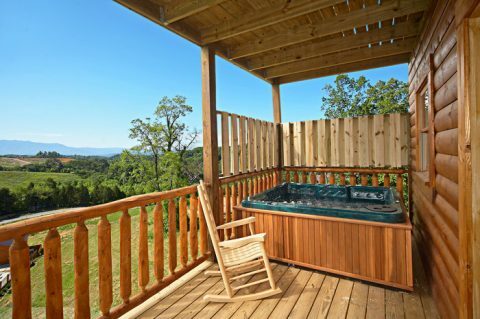 Sit back and relax in one of the rockers or take in the great views from your cabin's year-round, family-size hot tub. 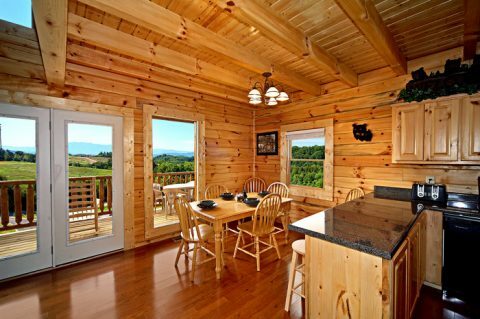 Enjoy hosting a cookout on the charcoal grill for a meal made in the mountain air. 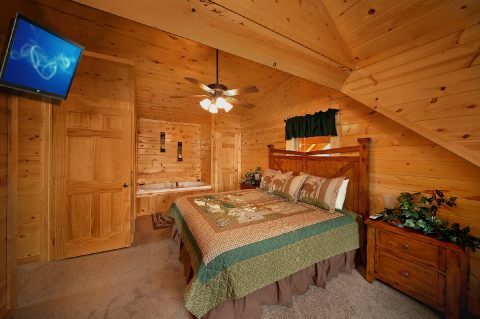 From the exterior curb appeal of your cabin rental near Pigeon Forge to its charming interior, your family will enjoy the affordable elegance this vacation rental near Pigeon Forge has to offer. 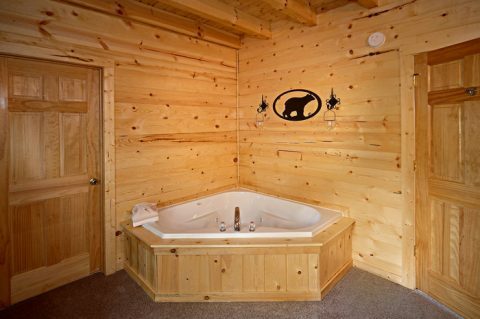 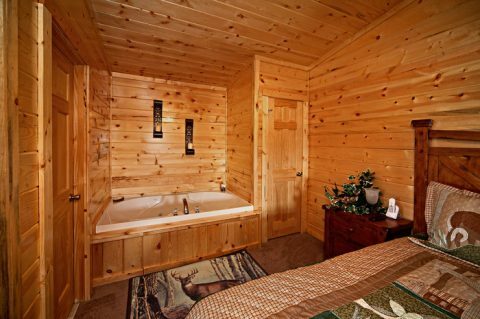 The cabin's 2 bedrooms both offer a king size bed, television, and an in-room jacuzzi tub. 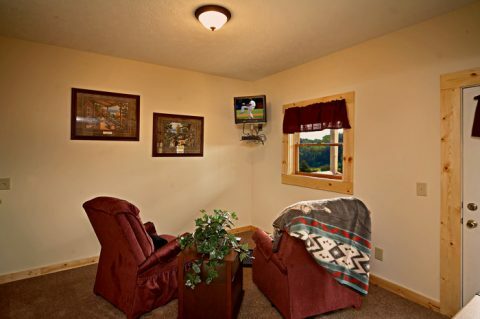 The living room has a handsome electric fireplace and there are two sleeper sofas available for accommodating an additional 4 guests. 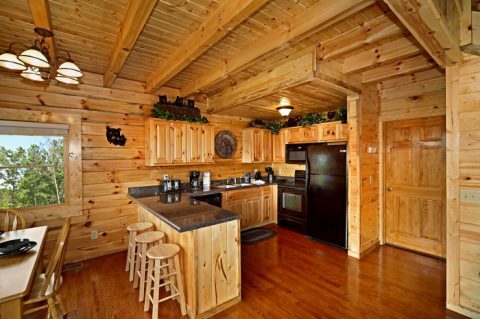 While there are plenty of restaurants and dinner shows in nearby Pigeon Forge, your Smoky Mountains cabin rental offers a spacious kitchen with breakfast bar, dining area, and charcoal grill ready for snacks to family size meals whenever you want them. 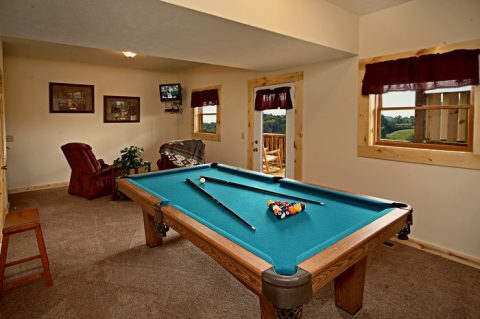 After dinner, family members may wish to gather in the cabin's game room for games of pool or a movie night spent together in the living room. 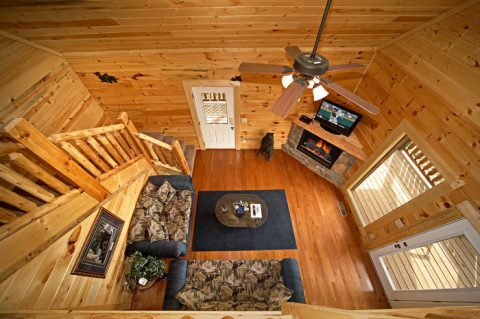 "Rocky Retreat" provides convenience and quality accommodations all in one affordable Smoky Mountains cabin rental package. 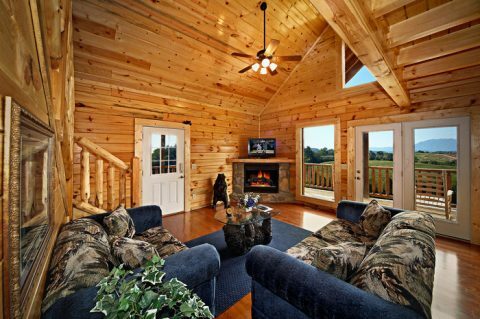 SAVE even more by booking your vacation rental near Pigeon Forge online with Cabins USA Gatlinburg for an immediate Online Special!